Winter is coming, and when it arrives, heat will become a very valued resource. Winter tends to be the season of soaring energy bills, since it is common for people to overuse their central heating systems in a struggle to keep homes warm and beat the cold. Space heaters are particularly useful in winter because they can generate heat quicker and cut down on your energy costs. But efficiency and safety are crucial things to keep in mind when considering space heaters. 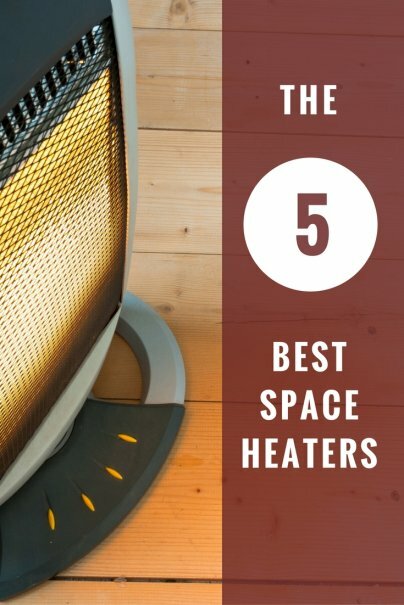 Wise Bread has done the work for you and is here to present its list of the top here space heaters on the market. 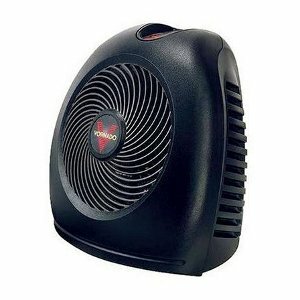 A space heater is a portable, electric-powered machine that is designed to generate heat within a single, enclosed space. There are two distinct categories of heaters that are based on how they transfer heat: convection and radiation. Convection heaters heat the air around them, which in turn transfers the heat to the surrounding area. Nowadays, more and more convection heaters utilize internal fans to help distribute the heat faster at the cost of being a bit noisier. Radiant heaters send electricity into an internal quartz tube that then radiates the heat out directly in front of it. It's quicker at generating heat than convection heaters, but the heat doesn't circulate as well and tends to disappear fast. Convection heaters are also generally more popular with consumers due to their fast heating rates and effective safety features. The Dyson AM04 is convection fan heater that presents a new, never-before-seen design that has garnered a top recommendation from Consumer Reports. This heater is unique in that it doesn't use fan blades to distribute heat into the environment. Instead, the AM04 uses its built-in Air Multiplier technology to amplify the air around it with heat, drawing the surrounding cold air through the unit and then expelling heated air that is then projected throughout a room. Its bladeless design with oscillation capabilities and tip-over protection ensures that this heater is very safe and efficient at distributing heat. The AM04 doubles as an air-conditioning unit as well, which makes it extremely versatile and extends its usage to beyond the cold seasons. It may be the most expensive option on this list, but investing in the Dyson AM04 can result in energy savings year round. The Vornado DVTH is a Good Housekeeping top pick most notable for its exceptional heating efficiency and outstanding safety features. It's a convection fan heater that disperses and circulates heat using a special vortex action system which allows the DVTH to heat an entire room in significantly less time than other space heaters and waste less energy doing so. Users have also reported that the DVTH is very easy to use and that its automatic climate control is effective at regulating the unit to maintain a constant temperature. The DVTH also has a slew of great safety features, including a tight convex grill design that shields the internal heating elements, tip-over protection, and an automatic shutdown function that prevents the unit from overheating. The Vornado DVTH is ideal for those who hold a high regard for safety and energy efficiency. A Consumer Search top pick, the Delonghi TRD0715T Oil-Filled Radiator is one of the top radiant space heaters on the market. As is the case with most radiators, the Delonghi TRD0715T is best for well-insulated environments that desire heating over a long period of time, and it's a solid performer at that. It won't start up as fast as a convection heater would, but once it's fully started, it'll provide a consistent stream of heat throughout the room with almost noiselessly. This radiator comes with a number of nifty features as well, including a built-in energy saving timer and adjustable thermostat. Its SafeHeat design utilizes vertical thermal tunnels to disperse heat while maintaining a low surface temperature that, along with a automatic shut-off function, provides overheat protection. The Delonghi TRD0715T may not be as portable as other space heaters, and the scent of its oil filling may be a bother to some people, but in the end, its top-notch quality leaves very little else to complain about. The Lasko 755320 Ceramic Tower Heater has earned Consumer Search's top recommendation by providing great heating quality at a very affordable price. 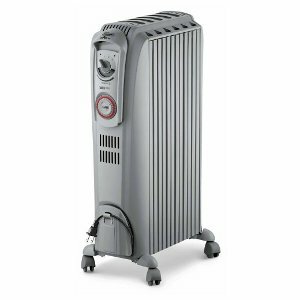 While it may not have much in the way of features when compared to our previous two picks, the Lasko Tower Heater is a convection fan heater that still delivers a solid performance and one that has become a very popular choice in the space heater market. Many users praise this Lasko for being amazingly quiet and for its great heat distribution via its oscillation capability. This space heater also comes with a remote control and overheat protection for added convenience and peace of mind. 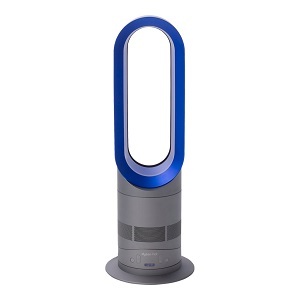 However, the Lasko 755320 isn't without its flaws, as users have also reported complaints that include the unit's thermostat being slightly unreliable and the power cord overheating often during use. 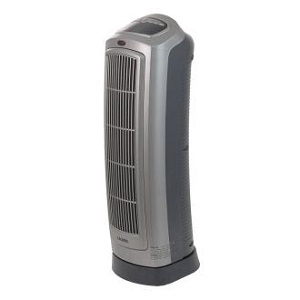 That being said, the Lasko 755320 is still one of the best budget-friendly space heaters you can buy. Another top pick from Good Housekeeping, the Holmes HCH4953-U Ultra-Quiet Ceramic Heater is the most affordable space heater on our list and also delivers one of the best values you can find. The Holmes HCH4953-U is a feature-rich convection fan heater — it has 1-Touch thermostat controls that allow you to set your desired temperature by pressing just one button, and an auto-timer function that you can program to have the heater turn off at a specified time. The HCH4953-U is also an impressive heater in its own right, as it utilizes twin heating elements along with a fan-forced system to provide more-than-adequate warmth with very little noise. Along with an included remote control and built-in tip-over protection, you get a lot more than what you pay for with the Holmes HCH4953-U. And those are our recommendations for the best space heaters. As always, be sure to check out the Wise Bread Shopping Calendar to learn when and how to buy just about anything! The AM04 does not double as an air conditioning unit. It is a fan that multiplies the air and also heats the air depending on the temperature setting.